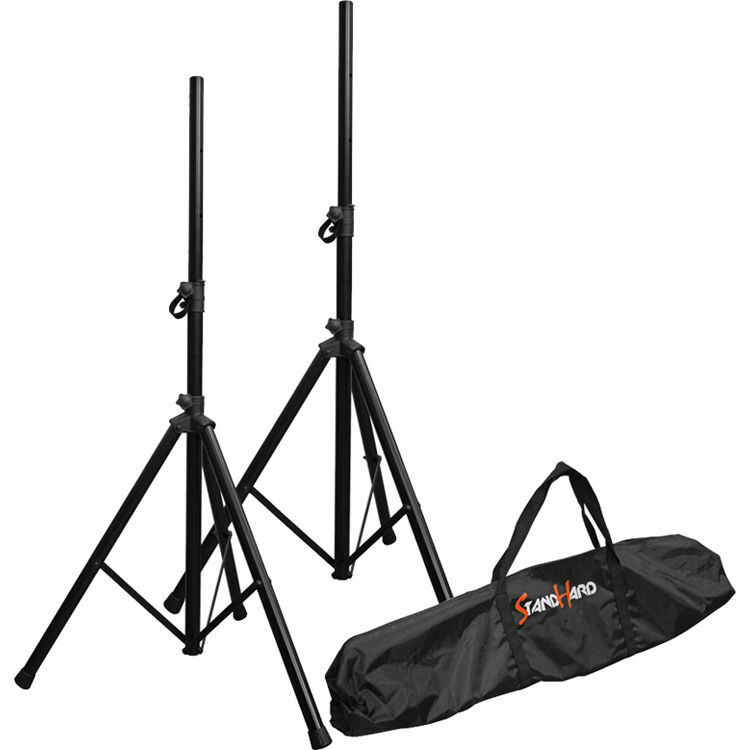 Adjustable Height: 46.5 to 69.7"
The Stand Hard Series SH80N from Bespeco is a portable speaker stand kit which includes one pair of tripod speaker stands and a nylon case. Each stand features steel construction and offers a weight capacity of 99 lb. The adjustable height reaches from 46.5 to 69.7", while the stand spread includes a range of 19.7 to 31.5". A metal safety pin ensures the stands lock in the desired height without slipping. The included nylon case holds and protects the stands from on-the-road wear and tear. Box Dimensions (LxWxH) 43.0 x 9.0 x 5.0"